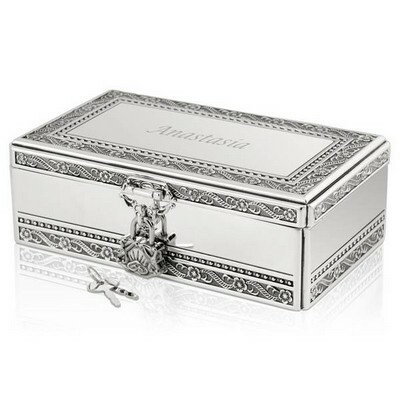 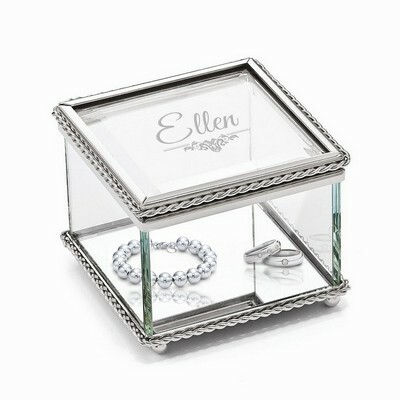 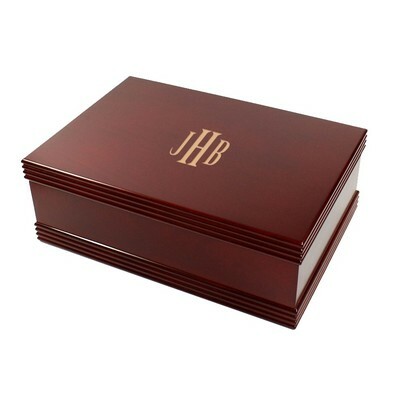 The Personalized Elegant Tall White Jewelry Box is 12" Tall. 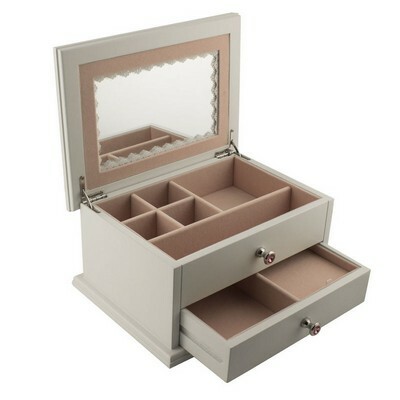 This beautiful White Jewelry Box is made of solid wood and features a white finish and opens to a soft gray lining. 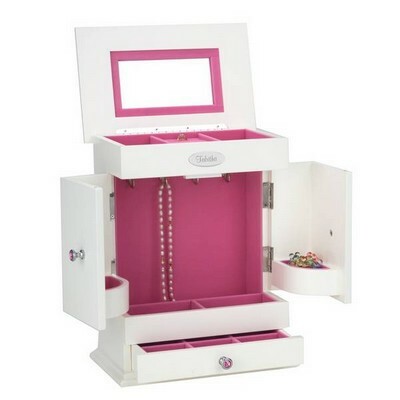 The jewelry box top lid opens up with a mirror and houses several compartments while two side doors offer a total of six pendant hooks and two catch shelves. 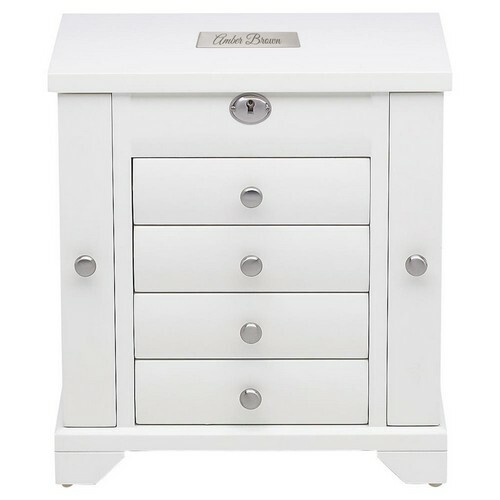 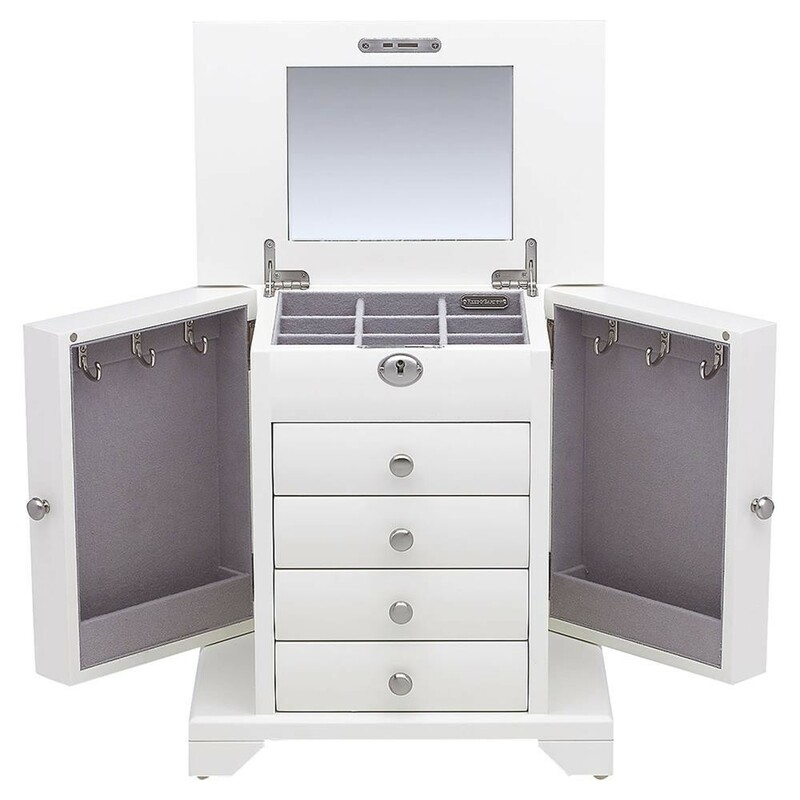 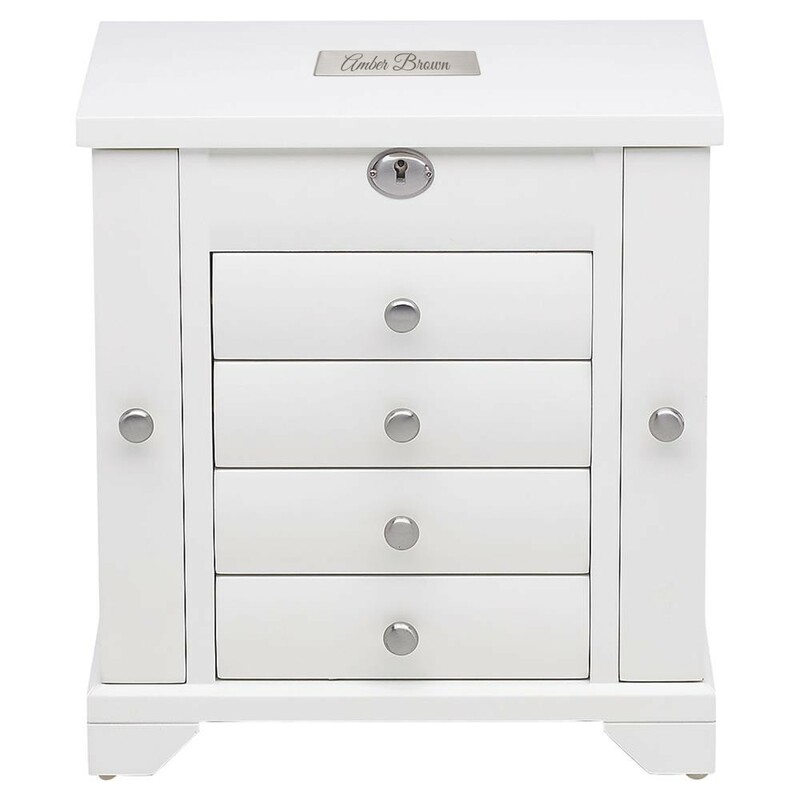 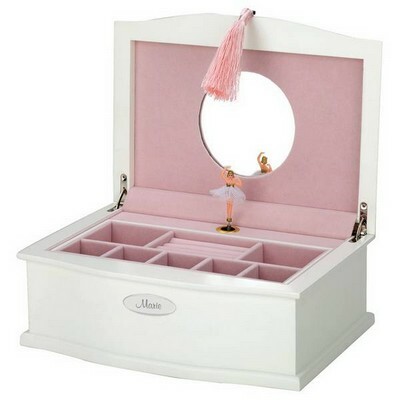 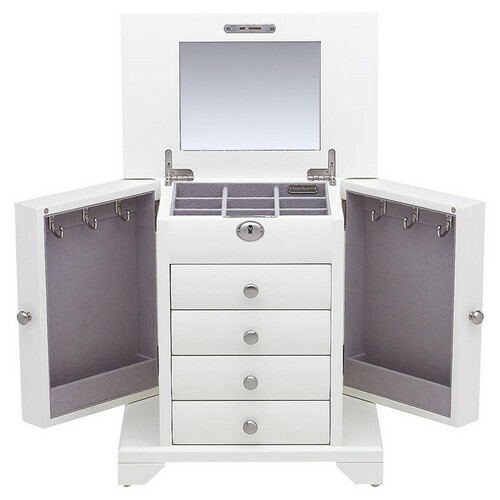 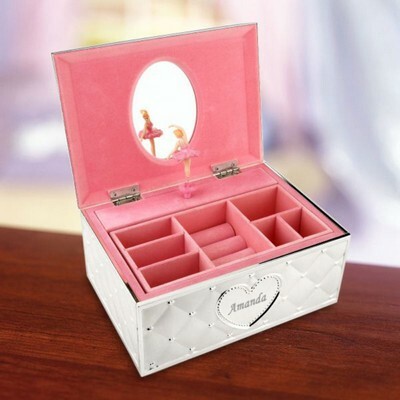 The personalized tall white jewelry box also includes four pull out drawers offer additional storage to complete an elegant addition to a vanity or dresser. 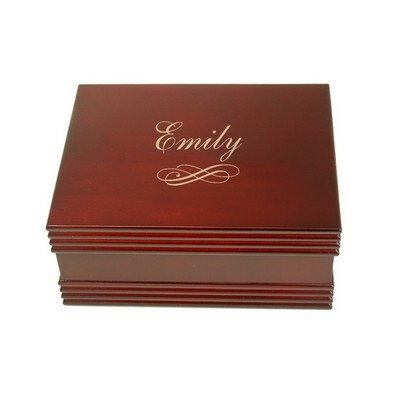 This stunning box makes a perfect gift for any occasion specially when it's personalized with her name on the top! 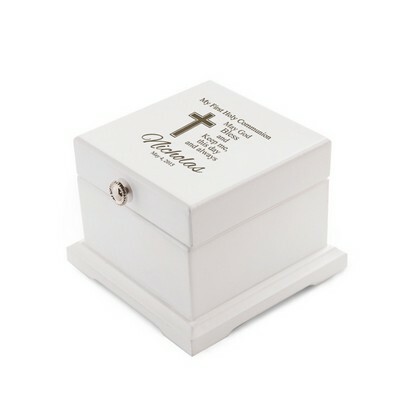 Measures 12" x 11" x 7"